The Faculty of Law of McGill University is very fortunate to have the benefit of the Wainwright Fund. Me. 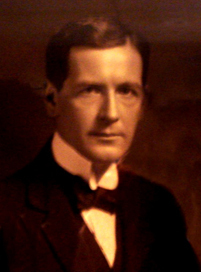 Arnold Wainwright Q.C. bequeathed the residue of his estate to the University, which currently sustains the Wainwright Lectures, the Wainwright Fellowships, the Wainwright Legal Essay Competition and the Wainwright Scholarships for law students. The Wainwright Fund, among other projects, also provides financial assistance for acquiring civil law foreign books at the McGill Gelber Law Library, for funding the Wainwright professorship of civil law, and for research in civil law by faculty members. Each year, the revenues of the Fund are allocated by a committee composed of the Dean, the Wainwright Professor of Civil Law, the Wainwright Librarian, and at least one other professor.